good things said on here, and they don't even come close to how good this little ball is, you ain't seen anything until you've tried one of these. --- Jason Kerr, United Kingdom Is it the competitive nature in the human being that makes this product pure dynamite for the soul? Or are you all just a bunch of fitness gurus who like what Powerball is doing to your hands, wrists and arms each time you pick it up? How can something that is small enough to fit in your pocket have the singular ability to make grown men quiver & women cry? There are many aspects of this splendid spheres that you simply love... Many of you have taken the time to let us know about your experience of NSD Powerball and the many benefits you have seen from its use in your fitness, rehabilitation and exercise applications, as well as the tremendous fun you have had while using it. Some of you have come across NSD Powerball through friends, family or co-workers, and in many other cases you have discovered this exciting product through your quest to find a cure, or treatment for common conditions such as Carpal Tunnel, Repetitive Strain Injury (RSI), Tennis Elbow, Arthritis, Wrist Sprains and Breakages or Tendonitis. We are delighted that NSD Powerball has proven to be of such tremendous benefit to many of you in overcoming these conditions, and of course are delighted to have some solid testimonials from several medical professionals, many of whom actively use NSD Powerball in their practices on a day to day basis. That is what we care about! These and the hundreds and hundreds of similar emails which tell us all about how NSD Powerball turned your office upside down when it arrived, how it reinvented your golf game, how it cured your RSI, how you sleep with it under your pillow... these are the things that make us smile and allow us to guarantee that your new NSD Powerball will become so much more to you than the sum of its parts - that you too will fall in love with the shiny little sphere and that you simply won't be able to put it down! 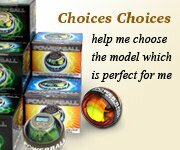 The NSD Powerball - it's 100% addictive and that is our 100% rock solid guarantee to you!